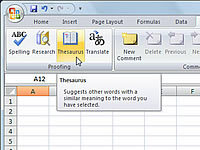 Excel 2007 includes access to a thesaurus via the Research task pane if you need to find a word with a similar meaning to a word that exists in your worksheet. Using the thesaurus is pretty easy. 1Select the word you want to replace with another word. 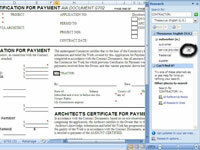 If multiple words appear in the cell, double-click the cell and then drag over the word you want to look up. 2Click the Thesaurus button in the Proofing group on the Review tab. 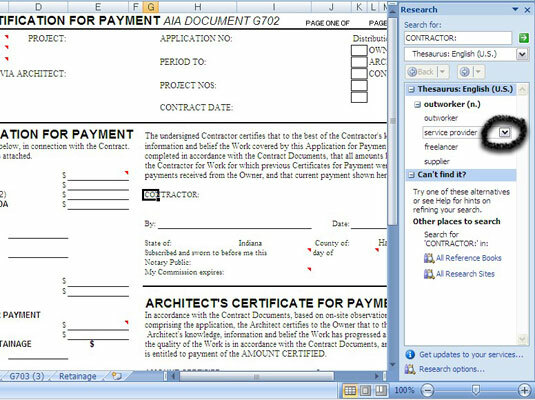 The Research task pane opens with a list of suggestions. 3Point to the word that fits best as a replacement and click the arrow next to the word. A drop-down list of options appears. 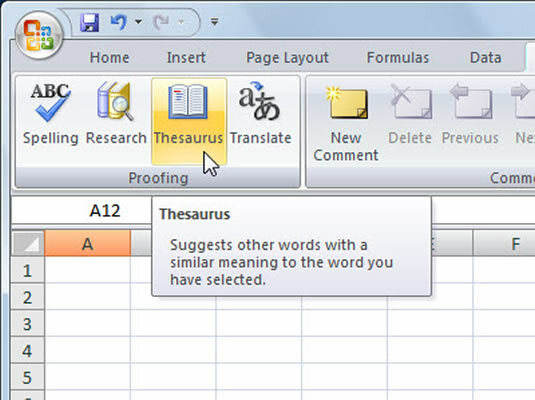 Excel replaces the highlighted word with the new word.